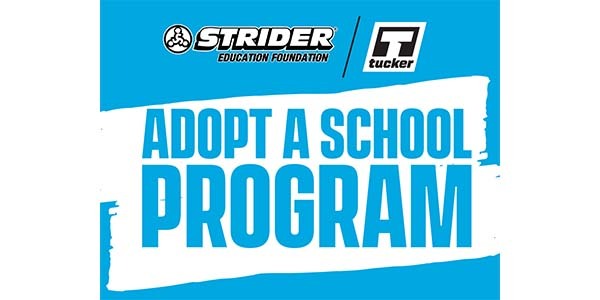 Tucker announced a new partnership with Strider Sports whereby the two companies will work together to bring an exciting experience to children in the communities where Tucker operates through the Strider Adopt-A-School program. 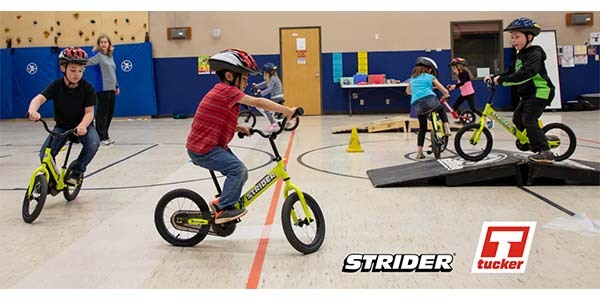 As part of the announcement, Tucker is excited to reveal five schools that have been chosen as recipients of Strider bikes, Tucker apparel and support from Tucker’s local employee base. Each school is located near one of the five Tucker distribution centers. Together, with Strider, Tucker seeks to inspire, motivate and support the next generation of riders. More information will follow once the program has been launched in each elementary school. Tucker and Strider: Building future riders—from pedals to motors.